That's not "new math." We've systematized the creation and distribution of sales-enabled PR and content to ensure one singular success for each of our clients. Our marketing strategy, PR and content work on your behalf is grounded in deep business development and sales expertise. 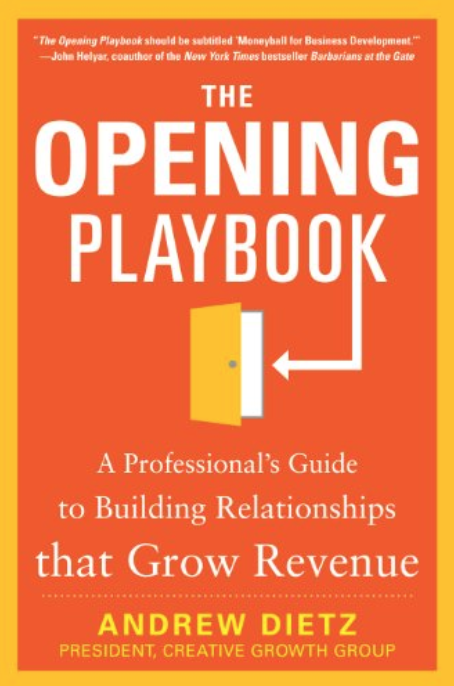 The Opening Playbook: A Professionals Guide To Building Relationships That Grow Revenue describes our approach to opening: putting your firm, your colleagues and you in position to be selected by prospects more often. Our senior leadership is prepared to go into the trenches as well as the boardroom by your side. We succeed when you do. So, part of our job is to ensure you and your colleagues gain not just our effort but our knowledge. To help you get the most value from partnering with Creative Influence, we continuously transfer ideas and skills above and beyond what's expected. For instance, we've compiled some of the "best client practices" from our experience and have assembled those for you here. Just click the "Get the Most" button below.